The facts behind yoga shows that it is hardly a form of exercise and stretching. Not only is it a useless way to “get fit,” it is also extremely dangerous. We are bombarded with the idea that yoga is not only a healthy exercise for the physical body, but the mind as well. Once again, the statistics shows otherwise. 76% of cases experienced psychological disorders, 43% had to have psychiatric or medical treatments. Out of the psychological disorders observed 63% experiences tiredness, 52% experiences states of anxiety, 45% experiences depression, 39% experiences nervousness, 39% experienced regression [a child like dependency], 26% experienced a nervous breakdown, and 20% expressed serious suicidal tendencies. These statistics are based on a study of the TM (Transcendental Meditation) form of yoga, and was pursued by the German Government youth department (Ministry of Youth, Family and Health), which was verified by the nations Supreme Courts after careful review. With such statistics, the obvious question should arise, “why would someone develop such a dangerous form of exercise?” The answer to that question, unfortunately, is not so obvious. Yoga was not developed for the purpose of physical exercise or relaxation. Yoga was developed for a religious purpose. 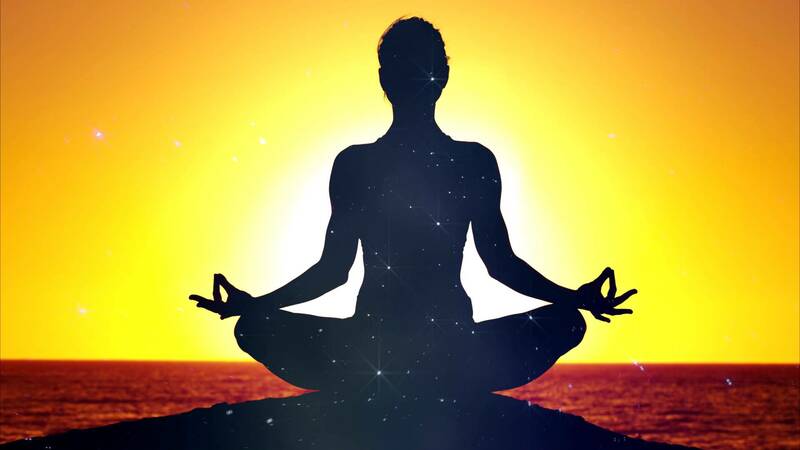 Yoga is traced back to the oldest Hindu scriptures known as the Rig Vedas, and is which speaks of yoking our mind to the “Sun of Truth.” In the Hindu scriptures known as the Bhagavad-Gita, lord Krishna is said to be the originator of yoga. “The Personality of the Godhead, Lord Sri Krishna, said: I instructed this imperishable science of yoga to the sun-god, Vivasvan, and Vivasvan instructed it to Manu, the father of mankind, and Manu in turn instructed it to Iksvaku. This supreme science was thus received through the chain of succession, and the saintly kings understood it in that way. But in the course of time the succession was broken, and therefore the science as it is appears to be lost.” (Bhagavad-Gita 4:1-2) Indeed, yoga is not an exercise, but a religion. The book cited above, published by the Theosophy cult, was first published in India, in 1931, under the title The Occult Training of the Hindus. Being released in America during the 70s, the named had to be disguised to The Seven Schools of Yoga, because the Western culture had not been so accepting of occult material in those days. There is no separating yoga from Hinduism. Caryl Matrisciana who was born and raised in India, and was once a avid New Age practitioner of yoga says it all. “Yoga, a practice synonymous with Hindu philosophy, means ’to yoke.’ Its goal is to unite man with Brahman, the Hindu concept of god (or rather a consciousness called ’god-state’)… And this union is another important ingredient of New Age thinking.”6)Caryl Matrisciana, God’s of the New Age, Harvest House Publishers, 1985, p. 18 One yoga instructor confesses the purpose of yoga classes is to indoctrinate the student with Hindu philosophy. Now we can begin to understand why people are willing to risk the physical and mental dangers of yoga considering the Hindu philosophy that is connected, in order to be freed from the endless cycle of reincarnation, to reach enlightenment. Understand, in that the Hindu religion shows no value to human life but actually seeks death, to shed the ‘bad karma’ which is obtained through past life times. So by reaching enlightenment in the current life time, you only need to shed bad karma of your past life times by dying. By following this method for a few more cycles of reincarnation you will reach perfection and obtain heaven. Caryl Matrisciana was born in India and saw first hand how the Hindus religious philosophy effected that culture. When she became an adult, she was involved with the New Age movement until she found salvation in Jesus Christ. Since her conversion she has been an expert on the New Age and occultism, sharing her story and the discerning truth from the masked movement spreading by means of deception. The book I mentioned earlier, which was originally published in India under the title The Occult Training of the Hindus, was loaded of such warnings about the dangers of yoga. “I must not refer to any of these Hatha Yoga practices without sounding a sever warning. Many people have brought upon themselves incurable illness and even madness by practicing without providing the proper conditions of body and mind”11)Ernest Wood, Seven Schools of Yoga, Theosophy Publishing House, 1976, p.78 Again he states, “I should like to make it clear that I am not recommending these practices, as I hold that all Hatha Yoga are extremely dangerous…”12)ibid, p. 79 These dangers are explained as “… by any mistake there arises cough, asthma, head, eye and ear pain, and many other diseases.”13)ibid, p. 78 Why haven’t the instructors in America given any warnings to students before they sign up for a yoga class? “…The four [schools of Hatha yoga, Laya yoga, Bhakli yoga, and Mantra yoga] should not be so practiced, and anyone who takes them up thoroughly does so at the immanent risk of most serious bodily disorders, disease and even madness.”14)Ernest Wood, Seven Schools of Yoga, Theosophy Publishing House, 1976, p. 12 What he means by the last warning, “even madness,” is actually demon possession. It is by the contact with these Hindu gods, that the practitioner receives revelation to further gain the way to enlightenment, which is being absorbed into the Supreme god of Hinduism – Brahman. “What is called renunciation you should know to be the same as yoga, or linking oneself with the Supreme…”19)Bhagavad Gita 6:2 Krishna further explains, “And of all yogis, the one with great faith who always abides in Me, thinks of Me within himself, and renders transcendental loving service to Me – he is the most intimately united with Me in yoga and is the highest of all.”20)Bhagavad Gita 6:47 So the yogi is told to think of Krishna as being “within him,” in order to “unite” with this false god. Whitley Strieber in his book Communion tells us he was involved with meditation. “I’ve been in a very intensive period. A lot of meditation and effort….Maybe I was reaching a new state of consciousness, too.”21)Whitley Strieber, Communion: a True Story, Avon Books, 1987, p. 157 He also tells us he used imagery and meditation to conjure his alien abductors. “The [mental] image [of the alien abductor] was with me, of course. I wondered what would happen if I asked it to come to me. Humanity has a long history of conjuring and magic….They had responded to my summons.”22)ibid, p.167, 172 Strieber was able to establish contact with his chosen god or goddess, which was an alien he described as being like the “face of Ishtar” in his meditation experience. This undoubtedly proves that the alien phenomenon is none other then the age old worship of demons. Strieber is not the only admission of meditation being used to contact these aliens. This author had presented the dangers of yoga, and as I quoted him earlier, stated, “… by any mistake there arises cough, asthma, head, eye and ear pain, and many other diseases.”28)ibid, p. 78 He pronounced, “by any mistake” multiple dangers can arise. This should be a major concern seeing that there is not a single standing agreeable accuracy on how to work the kundalini, which is the major focus of yoga itself. Ernest Wood does not stand alone on this opinion, but it is well understood by those in India and the gurus that teach yoga. Without an agreeable understanding of this most major factor in yoga, there is inevitably going to be a mistake made, resulting in catastrophe to the individual participating. What is agreed upon among those who realize the potential of yoga, is the purpose of awakening the kundalini to release the “serpent power.” As this serpent figure “goddess” rise up the spine, it effects each chakra on the way up to the final top chakra. The top two chakras, are the third eye and the crown chakra. The third eye, also called the mind’s eye once effected by the kundalini, awakens the psychic connection , producing “magick” occult abilities (such as clairvoyance, astral projections or out-of -body experiences, and precognition, ESP, etc.). The crown chakra is the spiritual connection with the universal god, the union with whom yoga was developed for. When the kundalini reaches the crown chakra, the individual has become enlightened of his god – consciousness. Dave Hunt asks the question, “Might the promise of this godlike ‘serpent power’ be the same promise with which the Serpent deceived Eve by offering her godhood? Certainly, the ‘self-realization’ of ‘oneness with the universe’ and with Brahman, which is the promise of yoga, is at least an unmistakable echo of the Serpent’s lie in the Garden.”33)Dave Hunt, Yoga and the Body of Christ, p. 124 The whole concept of yoga is tied into serpent worship, goddess worship, spiritual evolution or as some may call it “the next quantum leap” which will lead mankind into the New Age of Aquarius. “As for the future, here’s what our Teacher [Yogi Bhajan], the Master of Kundalini Yoga, has to say: Yoga with its every system is going to prevail. By the year 2013, forty to sixty percent of the people will be practicing yoga. People will see that people who practice yoga are bright and beautiful, calm, quiet, and blissful. They will recognize that the yogic community is sincere, dependable, serving and giving. The future of yoga is bright, beautiful, bountiful, and blissful. The blasphemous remark that “yoga is the way…[that] saved mankind” replacing Jesus who is the only way (John 14:6) and only savior of mankind (Acts 4:12). Christians can not be linked to such practices, yet churches around the country have been adopting yoga classes, misleading and confusing innocent believers. Protestant churches have introduced “Christ centered Yoga” to their congregations as Caryl Matrisciana documents in her informative DVD entitled Yoga: Uncoiled from East to West. Even Catholic high school text books teach yoga as a way to unite with God. In a chapter entitled “Prayer, Seeking Union with God,” we find many self-professing “Christians” have no problem with borrowing rituals from pagan religions. We cannot take spiritual rituals from a pagan religion and than claim that it has been removed from the religious order that originated it. This is spiritual deception which is the highest degree of danger one can put themselves in.